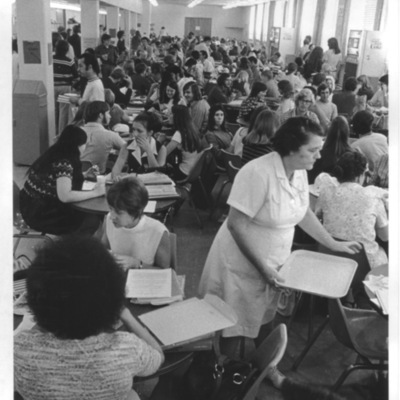 Photograph taken inside The Ordinary, George Mason College's first dining hall. It was located in the lower-level of South Hall. 8" x 10" photograph print; black and white.